Sometimes the kindness of others stops us in our tracks. In this case, it’s both the tracks of wildlife that will benefit from an extraordinary gift, as well as those of the volunteers who make that conservation work a reality. It’s tracks of young feet tromping in the snow and those of elders, who make the trek up to the Pinnacle every year. It’s tracks that go back forty years, when Marion Berry, her husband, Arthur, and son, Tom, moved to Westminster from Portsmouth, NH in 1977. The Berrys loved Westminster. Tom attended high school at Bellows Falls Union High and was active in the school band, as well as his own. He spent time hiking and canoeing, and shared his love and respect for the outdoors with his parents and friends. That love of the land and water stuck with him. He majored in Geology and Biology at Bowdoin College in Maine before going to California in 1984 where, as an environmental consultant and geologist, he has been working on remediation of contaminated sites. Marion and Arthur moved to Maine in 1985, but their love and appreciation for youth and those who want to make conservation part of the lives of the community stuck with them. Active in Maine in their local community of Damariscotta, the Berrys never forgot their Westminster community. As a direct result of those memories, the Berrys’ gift was made in honor of Judy Anderson, a great friend of theirs from the 1970s who grew up in Westminster West. A conservationist and long-time supporter of Pinnacle, Judy is a nationally recognized, highly respected consultant to land trusts who continues to donates her invaluable strategic advice to the Pinnacle Association she has so loyally promoted through the years. 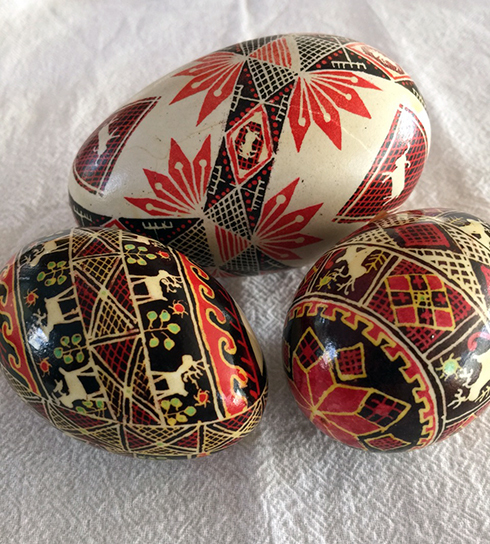 A scientist with a Ph.D. in Zoology and a background in genetics research during the 1950s, Marion Berry was also an artist particularly known locally for decorating beautiful Pysanky (Ukrainian) eggs. While living in Maine, she had the honor of having one adorn the Presidential Christmas Tree (during the Clinton administration) representing crafts from Maine. She also knitted lovely sweaters and hats, using locally sourced and naturally dyed wools, and excelled in a variety of other crafts, including jewelry, bees wax and layered candles, hand-decorated jewelry boxes, dried flower arrangements, and more. She had been an important member of the Jelly Bean Tree store in Saxton’s River, ran her own shop from home, and attended local craft fairs. “My mom was an optimist,” commented Tom Berry. “She saw the potential in people, and in the places she lived with my dad. Her gift to the Pinnacle is a reminder that every day she tried to make the world a little bit more beautiful, a little bit better, while also being very mindful of the importance of protecting and preserving our natural resources. Consequently, she appreciated those who were working to do the same. My dad shared this life philosophy and left a gift to the Pinnacle, some years before, in his will.” Tom himself continues to include WHPA in his family’s annual charitable giving. Marion Berry, scientist and artist, was famous for her beautiful Pysanky (Ukrainian) eggs and other knitted and craft objects. She was appreciative of nature’s beauty and bounty, protective of its resources, and supportive of those who worked to conserve the land and make both knowledge of it and access to it available to people of all ages. Her bequest to the Pinnacle Association, in honor of Land Trust Consultant and long-time Pinnacle supporter Judy Anderson, is a personal and perfect statement of Marion’s loyalty and beliefs. The Pinnacle Association will use this gift to further its conservation work. WHPA takes care of 24 miles of trails as part of the 2,000 acres it manages on behalf of the community. Some of the funds will be used to help connect people from all walks of life to nature and local conservation efforts through additional free programs, better access, and expanded trails so that their link to the land and its resources is truly a regular and integrate part of their lives. 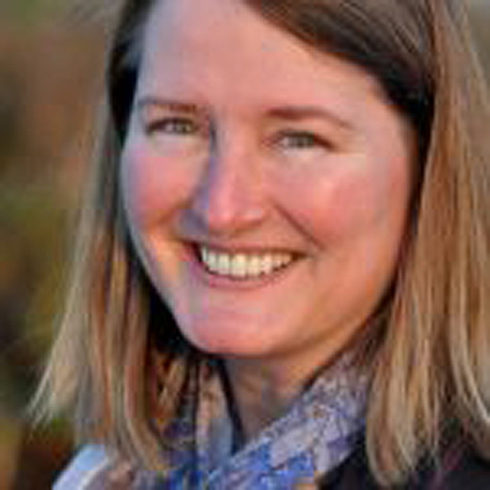 Judy Anderson has worked for over 20 years with nonprofits and conservation organizations coaching them on community-based outreach, marketing, community engagement, and fundraising. Her strategic and inclusive approach to conservation program development helps organizations build capacity and sustainability. Having grown up as an outdoor enthusiast in Westminster West, Judy has been involved with the Pinnacle Association almost since its inception and continues to donate valuable consulting services.